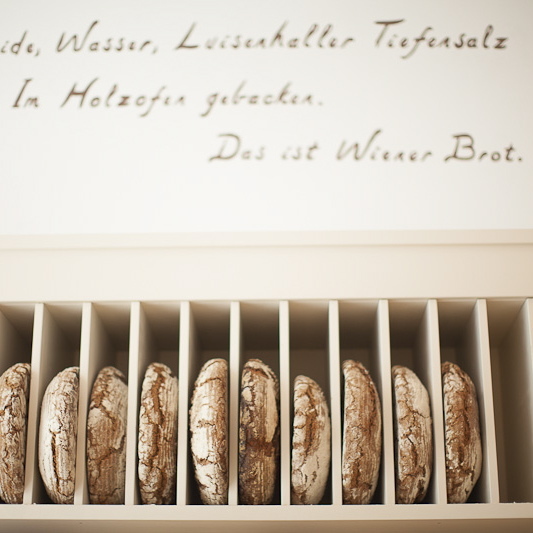 Wiener Brot Sarah Wiener is baking for Berlin! Only few crumbs of the last Zaunerkipferl remain on the plate next to me and I'm so close to going right back to Wiener Brot on Tucholsky Straße to get a refill. And they're delicious, let me tell you, these little crescents, resembling rustic croissants, lightly sweetened and spiced with cinnamon. 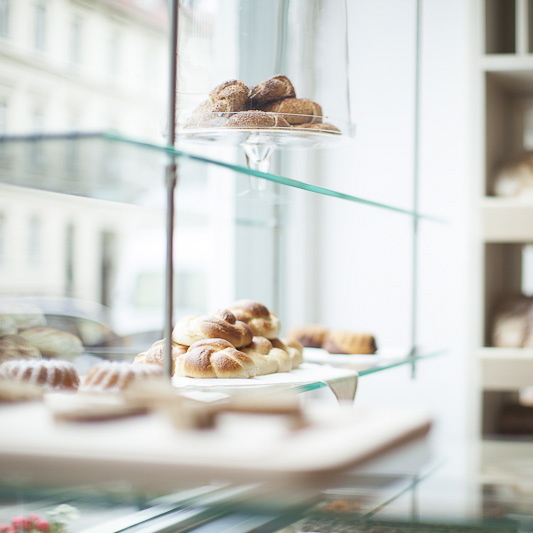 The choice was a tough one at that, with fresh kaiser rolls, curd cheese pockets, Austrian Butterstangerl and a small selection of delicious cakes all looking equally tempting. All organic and additive-free! Everything is exclusively made from ingredients you and I would use to bake at home too. 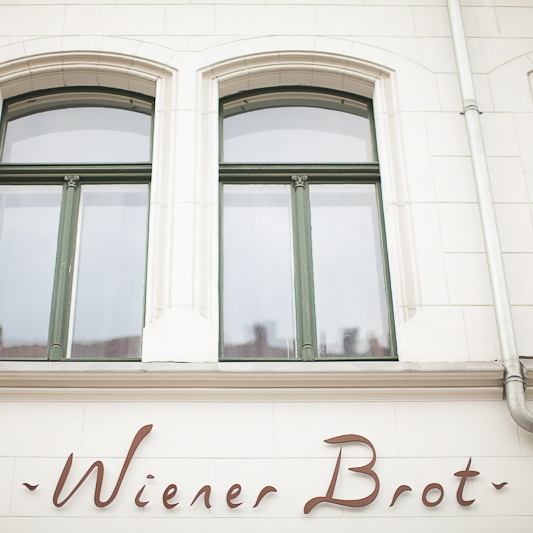 Of course the same is true for the bread, the actual protagonist of Wiener Brot. 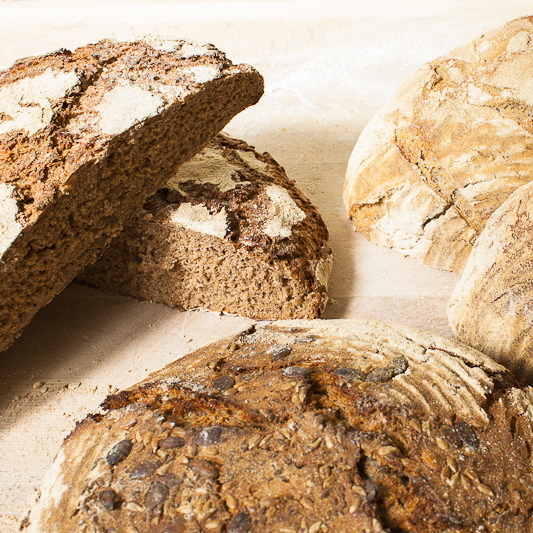 What makes the hand-molded loafs so special is the baking over Brandenburg robinia wood, which makes for an exceptional crust and is just as much a visual bonus as it is in flavor. The Berlin White Bread is especially beautiful! Along with rare jams and jellies, christmas cookies and Riess' elegant enamel boxes, the exquisite assortment includes Andraschko coffee. The same Andraschko coffee that once brought Vienna Coffeehouse Culture to West-Berlin with Café Einstein on Kurfürstenstraße. And that's how we've finally come full circle!